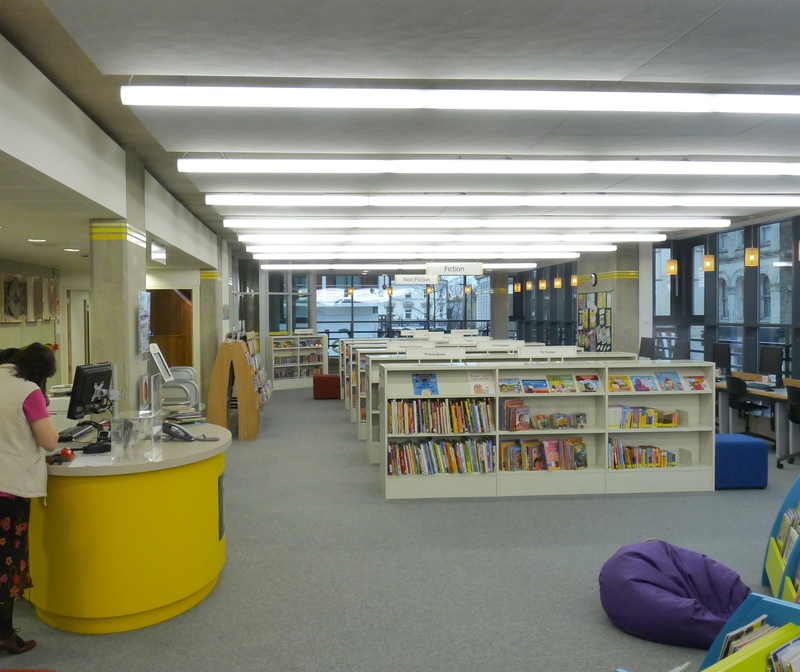 THE NEW CLR James Dalston Library opened today – but without the controversial café and coffee bar. Businessman Gurkan Bozdere says that he “signed off” on the contract only last week because Hackney council had been slow to resolve his worries about security and other matters at his new premises. He and his father also run the Sömine restaurant in Kingsland High Street. The delay in getting keys meant that he had been unable to install catering equipment. He was nevertheless confident that he would be ready for business before the end of this month, January 2012. The setback comes soon after Bozdere was criticised by commenters to local blogs and websites that had not given the locally raised entrepreneur a chance to respond to reports that he would make the café a Starbucks. When Loving Dalston approached him, he said that the only sign of the US company would be a notice saying “We proudly serve Starbucks”. In the library proper, there are also signs of incompleteness: disabled access for example, although Loving Dalston was told that would be improved. Overall, however, the £4.8 million facility shows the potential to become a great and useful attraction. The library’s move from the postwar building 100m east to a site closer to Dalston Junction station has suffered several delays: the opening date was postponed several times. And Hackney found itself in the midst of a controversy after this site revealed in February 2010 that the council planned to drop the name of CLR James, the Trinidadian writer who lived for many years in Brixton, where he died in 1989. After further Loving Dalston stories, an internet petition attracted thousands of signatures, and the council backtracked to say it would reinstate the name. The revelations had a similar result for the Rose Lipman name on the archives premises in Downham Road, De Beauvoir N1. Hackney had intended to drop the title when the archives moved to the new library – until McShane said that “Rose Lipman” would stay on the De Beauvoir building. * All pictures on this page © DavidAltheer[at]gmail.com. All for sale for reproduction. Most photographs can be visually enlarged by pressing on them. The delay in the library’s opening — and the continued delay in the opening of the archives facility there — is due to the apparent inability of the relevant subcontractors to bring the archive climate controls within the required limits. Hackney council wanted so badly to open the two facilities simultaneously that it opted to delay the library in the hope of getting the archives to open at the same time but finally gave up on the idea, long after it could have given us our new – but still partly unpainted – library and the use, in particular, of all its scores of public access computers. So I get the crud coffee without any of the benefits? I can’t use my Starbucks card to get free extra shots, and there’s no weekly iTunes card either? With the excellent coffee at Café Oto just across the road, sounds like I for one won’t be rushing to get my coffee fix at the library.